The National Ambulance Center in Haiti (Centre Ambulancier National) sent out a cry of alarm: protesters are attacking ambulances in in the country. Not the type of news we like to report but, unfortunately, it is a fact. 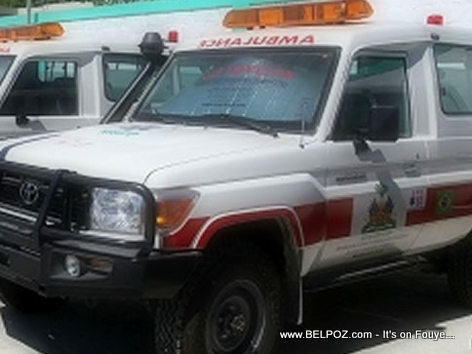 One of the spokesperson for the National Ambulance Center spoke to journalist on Haiti radio Caraibes FM Tuesday morning saying, that in La Saline, in Bon Repos, in Cap Haitien, Ambulances were attacked Monday and medical personnel are in danger. Journalists confirmed Tuesday that in fact some ambulances were attacked. in some areas of the capital.